The achingly beautiful cover of timeless trees, earth, flowers and rock, is redolent of Israel’s destiny. . . . This land seems to symbolize the eternal quest for harmony where forces of turmoil march ceaselessly. Bar-Lev and Simon explore this theme for us. And – incredibly yet incontestably again – the ideas that destroyed Europe in the Thirties and Forties survive to this day. The Muslim far right quite deliberately took the ideology of L’Abbe Augustin Barruel, Tsar Nicholas II, Benito Mussolini, General Francisco Franco and Adolf Hitler, and transferred it to the Middle East; not just in part, but in every detail . . . The resurgence of fascistic ideologies in the Middle East was explained away by the liberal-left and just about everyone else with the assertion that its “root cause” was the Israeli occupation of the West Bank and Gaza. Very few stopped to think how [obtuse] they sounded. They had to pretend that from the 1790s until the 1940s, fascistic ideas were deranged conspiracy theories employed by the ultra-right, and ultra-left on occasion, to justify tyranny, censorship, the suppression of the rights of women and genocide. As soon as the Second World War ended and the state of Israel was established, however, the madness vanished, and fascistic ideas became rational responses to a colonial venture by refugees from Europe. Only one faction in American politics has found itself able to make excuses for the kind of religious fanaticism that immediately menaces us in the here and now. And that faction, I am sorry and furious to say, is the Left. From the first day of the immolation of the World Trade Center, right down to the present moment, a gallery of pseudo-intellectuals has been willing to represent the worst face of Islam as the voice of the oppressed. . . . Suicide murderers in Palestine . . . described as the victims of “despair.” The forces of al-Qaeda and the Taliban represented as misguided spokespeople for anti-globalization. The blood-maddened thugs in Iraq, who would rather bring down the roof on a suffering people than allow them to vote, pictured prettily as “insurgents” or even, by Michael Moore, as the moral equivalent of our Founding Fathers. “Mr. Soros singles out my essay as an instrument of a ‘pro-Israel lobby’ that aims to ‘suppress criticism’ of the Jewish state by denouncing the proponents of such criticism as anti-Semites. In fact, as any careful reader of my work will see, I never call anyone an anti-Semite and never once level a ‘primitive accusation of self-hatred’ against those whose words I quote. Defamatory rhetoric of this sort is increasingly heard these days and does not represent anything remotely like ‘progressive criticism of Israel's policies.’ Rather, such inflammatory language feeds a discourse of demonization which, if it continues unchecked, will end up delegitimizing both the Jewish state and its supporters. 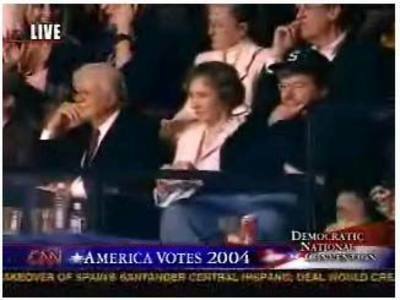 Like Jimmy Carter before him, George Soros calls for a “debate” and then refuses to participate in one. Even worse, like Carter, he makes no attempt to disassociate himself from those who charge Israel with “apartheid” and other demonizing rhetoric. Instead, he joins them. Thanks to joem for creating an interesting thread at Discarded Lies based on yesterday’s JCI post, which Daled Amos also linked. The thread contains some interesting comments and pictures and a link to a passionate post by Sultan Knish. But nothing could be as nice as a link from the premier pro-Israel blogger: Thank you, Yael. Israel Independence Day commemorates something as close to a miracle as we are ever likely to see -- the re-creation of an ancient state in the Land in which it stood 2,000 years before, the resurrection of an ancient language to bind the ingathering of exiles who had no other place to live, the creation of a democracy that extended citizenship not only to Jews but to every Arab who did not leave or flee during the genocidal war against the state that commenced on the day of independence, and the subsequent growth of the state into a modern economy and a vibrant civil society while under continual military attack over six decades, including the religious crusade currently waged against it. Israeli society is not characterized by a sense of “We the People” the way that American society claimed to be in 1787. The divisions between secular and religious, hawks and doves, rich and poor, socialists and capitalists, Ashkenazim and Sephardim, Jews and Arabs are all wider and deeper than any might have expected they would become. . . .
[We have] come to realize that these divisions can’t simply be papered over. The authors of the Declaration [of Independence of Israel] finessed that disagreement as to whether to include God in their text by using the phrase “with trust in the rock of Israel” – a phrase that the religious could interpret as God, and which others could take to mean the military might of the emerging State. . . . Today, we know that no clever turn of a phrase will bind us together. Never in Jewish history has the unity of Israel been revealed in a fuller or more perfect manner than in the Declaration of Independence of our state in our times. . . . [W]hen Moses was merely delayed in descending from the mountain, the people gathered with Aaron at their head and made the golden calf. And after all the tribes had come to David in Hebron to appoint him as leader over all Israel . . . the rebellion of Absalom broke out. And after Joab and Abishai, sons of Jeruiah, and Ittai the Gittite, suppressed the family rebellion and restored the kingship to David, a more severe rebellion spread, the rebellion of Sheba, the son of Bichri, a Benjamite – which led, after the death of Solomon, to a split between Judea and Israel. Only a few [of the Jewish exiles in Babylonia] emigrated with Ezra and Nehemiah to the Land of Israel . . . and those who returned encountered opposition by “the people of the land” who had not been exiled. In the days of the Second Temple, quarrels proliferated between the Sadducees and the Pharisees and between the Hasmonean brothers themselves, and prior to the destruction, between the moderates and the zealot rebels. The rebels too fought among themselves no less than they fought the Romans . . . . Nor did quarrels and conflicts cease in Israel during the exile. On the eve of the establishment of the state, the Jewish yisuv in the Land was perhaps the most divided and fragmented of all the Jewish settlements in the world. In no other land could one find such a conglomeration of different ethnic groups, cultures, organizations and parties, beliefs and opinions, shifting ideologies and international orientations, conflicting economic and social interests, as in the yishuv -- as a result of the ingathering of the exiles, the center of all the divisions and splits in Israel. With the wondrous occurrence of . . . independence, it was as if all the divisions were overcome. Representatives of all the parties in Israel signed the Declaration – from the Communists, who had forever fought against the Zionist enterprise as reactionary, bourgeois, chauvinistic, and counter-revolutionary, to Agudat Yisrael, which had perceived as apostasy any attempt to bring about the redemption of Israel through natural means . . . However, it was not only these two extremes that . . . overcame their prolonged and bitter opposition to the state of Israel. The representatives of Shomer Hatzair, who for over twenty years had maintained that a binational state was the only means to realize the Zionist goal . . . participated in the signing. . . . [And] representatives of the Revisionists, who had vehemently fought against a state based on partition, also signed the Declaration. The only obstacle . . . was the last paragraph [of the Declaration] referring to “trust in the Rock of Israel.” Some radical intellectuals considered these words an apostasy against atheism; on the other side was ultra-Orthodox extremists who perceived the failure to add “and its Redeemer” . . . as an apostasy against fundamental dogma. Nevertheless, everyone signed after negotiations. And not only the parties in Israel but the Jewish people throughout the world were united on that day in their joy and pride over the establishment of the state. It is difficult to assess which of the two miracles was greater – the miracle of independence or the miracle of unity . . . .
[Israel] is not a state with a developed country and an established economy. . . . The people residing within it are only the nucleus of the people for whom it was established. Most of its area is desolate and waste, requiring development. Its economy is only in its infancy. All its neighbors are scheming to destroy it. Great world powers are unsympathetic to it. . . . Things are extremely difficult in Israel today, but the problems do not seem different in degree from those that Ben-Gurion described and that Israel encountered from the time of Moses forward. On this dispirited but inspiring Independence Day, it may be useful to recall the old saying that, at times like these, it is important to remember that there have always been times like these -- as Ben-Gurion’s essay reminds us. And that Israel overcame them all. Assembly Bill 221 (Joel Anderson, R-El Cajon) will be heard tomorrow by the California Assembly Judiciary Committee. The bill would extend the existing prohibition of investment by California pension funds in companies with active business operations in Sudan to companies with business operations in Iran involved in the defense, oil, nuclear, or natural gas sectors of Iran, or Iranian organizations labeled as terrorist organizations by the State Department. It is estimated that California currently has approximately $24 billion of taxpayer-funded retirement dollars invested in companies with ties to Iran. Doris Wise Montrose, Nurit Greenger and Michael Mandaville have explained why investments in such companies do not meet the basic criteria for safe investment of pension funds in Doubt . . . or Debt? Please consider emailing your support of A.B. 221 to the members of the Judiciary Committee before the end of the day, including your address, with a copy to Assemblymember Anderson. Please support A.B. 221 (Anderson) when it comes before your committee on April 24, 2007. Existing law precludes the investment of state pension funds in companies doing business in Sudan. A.B. 221 would extend that prohibition to companies doing business in Iran with state controlled entities or terrorist organization. Such companies are not a proper place to invest California funds. Atlas has posted a terrific video of Leonard Cohen, the Psalmist of Searching, singing “Hallelujah” in 1984, along with excerpts from Jay Michaelson’s review in last Friday’s Forward of Cohen’s book of poems – “The Book of Longing” – which is coming out in paperback on June 1, 2007. The spelling of “G-d” in the first stanza of the poem is Cohen’s. 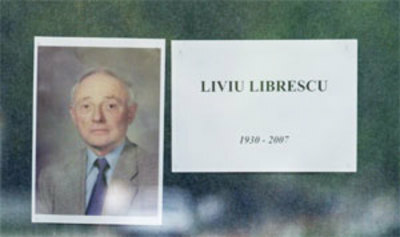 I would be highly surprised if the U.S. did not posthumously award Professor Liviu Librescu with the Medal of Freedom (the highest civilian award that my nation can bestow). Although there were other heroes during the Virginia Tech massacre like the resident assistant at the first shooting, Prof. Librescu really stands out. Not only was he a Holocaust survivor, an accomplished academic of the highest rank who devoted his life to teaching others, and a highly respected expert in the field of aeronautical engineering, he also (at the age of 76 which is well beyond retirement age) did his best to protect and to save the lives of his students at the cost of his own life while under fire. This guy is a hero and Romania, Israel, the U.S., and the rest of the civilized world should be proud of him as a shining example to the rest of us. He was in fact the gift of three countries. From Romania he brought the knowledge of aeronautical engineering and solid and fluid mechanics, having earned a B.S. in 1952, an M.A. in 1953, a Ph.D. in 1969, and the title of Doctor Honoris Causa in 2000, all from the Polytechnic Institute of Bucharest. From Israel he brought his knowledge of terrorism as an event that can occur in a flash, on any day, out of nowhere. He had lived there for seven years after his release from Communist-controlled Romania. His son and others in his family still lived there. He knew that one’s family could be in danger on a bus, or in a café, or in a school. In the United States, he knew the blessings of freedom and academic inquiry, producing hundreds of scholarly papers and a long list of international honors. The class he was teaching Monday morning was one of four of his courses for the Spring 2007 semester, imparting his knowledge to students 50 years younger than he. And from the Holocaust, the ashes of the civilized world, he brought his knowledge of the need to stand up to evil, to never let it happen again. At age 76, early in the morning, in an unlikely place, terror came to his door. He knew what to do. Haaretz reports that a presidential representative from Romania attended the funeral today and bestowed on Marlena and their children the Order of the Star of Romania for his bravery and his contributions to science. Professor Liviu Librescu, the Hero of Virginia Tech, was given an Orthodox Jewish funeral in Brooklyn yesterday, with his wife Marlena in attendance. He was also honored at the U.S. Holocaust Memorial Museum by George W. Bush. He will be buried in Israel. His son Joe Librescu was interviewed yesterday afternoon on Fox News, in a brief video that includes President Bush’s eloquent tribute to him and some moving family pictures. The one above was released by his family. Thank you to those who contributed eloquent comments to the prior JCI post -- the comments that follow the post are worth reading. He was a man from a different generation. 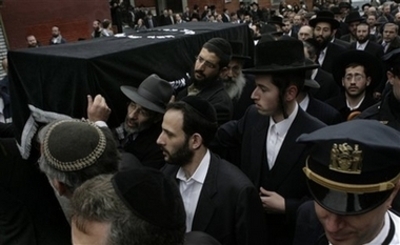 The casket of Liviu Librescu is carried through the streets in Brooklyn, New York, Wednesday, April 18, 2007. (AP Photo/Seth Wenig). 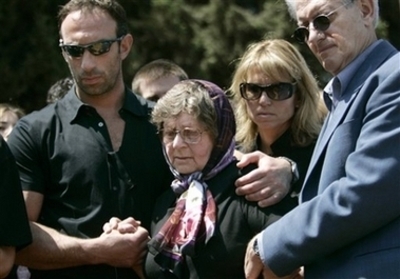 Marlena Librescu in Brooklyn after the funeral of her husband (AP Photo/Seth Wenig). Librescu later found work at a government aerospace company. But his career was stymied in the 1970s because he refused to swear allegiance to the Communist regime, his son said, and he was later fired when he requested permission to move to Israel. In 1977, according to his son, Israel's then-Prime Minister Menachem Begin personally intervened to get the family an emigration permit, and they left for Israel in 1978. 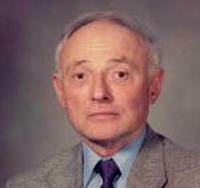 Librescu left Israel for Virginia in 1985 for a sabbatical year, but eventually made the move permanent, said Joe Librescu, who himself studied at Virginia Tech from 1989 to 1994. The list of his honors and awards, publications, professional associations and classes taught is remarkable (HT: Anne Lieberman). It is also remarkable that, at age 76, he was still teaching undergraduates, early in the morning, as he was yesterday. In Monday morning's lecture on solid mechanics, all was quiet except for the sound of Professor Liviu Librescu's voice. Then came the gunshots -- in the classroom next door. In an instant, Virginia Tech's Norris Hall, a building dedicated to the science of engineering, was torn apart by the worst shooting rampage in modern U.S. history. Junior Richard Mallalieu said he and about 20 classmates instantly dropped to the floor, ducking under and behind desks for what sounded like the first 10 shots. "It wasn't like an automatic weapon, but it was a steady 'pow,' 'pow,' 'pow,' 'pow,' " Mallalieu, 23, said in a phone interview with The Sun. "We didn't know what to do at first." Then the sound of the gunshots shifted. Coming closer. . . .
Mallalieu said his professor held the door shut while students darted to the windows. Some climbed on desks, ledges and a radiator cover to pull down the screens and kick at the metal-framed glass, Mallalieu said. Three windows easily gave way and swung open on hinges as the gunshots got louder. . . .
Once the windows for the second-floor classroom were open, Mallalieu and most of his classmates hung out of them and dropped about 10 feet to bushes and grass below, he said. . . .
Mallalieu said he never saw Librescu escape. "I don't think my teacher got out." "It is a great loss," said Ecaterina Andronescu, rector of the Polytechnic University in Bucharest, where Librescu graduated with a degree in mechanics and aviation construction in 1953. "We have immense consideration for the way he reacted and defended his students with his life." At the university, people placed flowers on a table holding his picture and a lit candle. "We remember him as a great specialist in aeronautics. 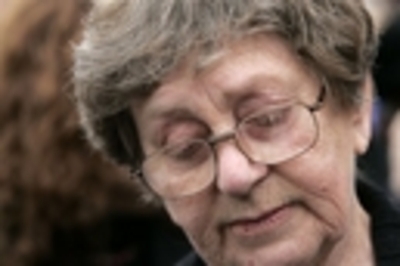 He left behind hundreds of prestigious papers," said professor Nicolae Serban Tomescu. He survived the Nazis, and the Communists, and taught young students for more than 20 years while compiling a list of academic accomplishments that is daunting. And then, in a flash, he showed a heroism we can barely understand, and can only honor.